Our Christian life should be permeating and our relationship with God should be exactly that; a genuine bond with the true living God. The Bible is not just a book; it speaks to us as the guidance and admonition from God Himself, meant to equip us for our daily living. Prayer is more than just saying a word or ritual; it is an actual conversation with God. The other spiritual disciplines are more than something we do because we’re obligated to; they are an expression of an authentic rapport with God. Last Sunday, the 23rd of March 2014, Rev Dr Henry Pillai, senior pastor of Grace Convention Center, shared a message concerning this area of our Christian lives and about building altars to God. Throughout all history and culture, we see people trying to reach out to God. Even the practices that are in multiple other cultures which we view as idolatrous or pagan like burning incense, has its roots in the ancient Israelites' worship to God, albeit with very specific instructions for its observation (Exodus 30:34-38; http://www.gotquestions.org/Christian-incense.html ) In the same way, although the notion of building altars may seem pagan to some Christians, there is actually precedent for it. In the simple meaning of the word, altars are an elevated place or structure, such as a mound or platform, at which religious rites are performed or on which sacrifices are offered to gods, ancestors, etc (Dictionary.com), but there is a deeper ecclesiastical meaning to the word, and that is as a communion table. This has a connotation of a close relationship and spiritual union with God, and it is in this context of the word that Christians understand altars. Unlike many other cultures, for Christians, it is God that graciously initiates a relationship and us responding in gratitude. Rev Henry shared that Malaysia is in a time of significance and that it is a double rainbow nation. The significance of this vision of a double rainbow nation is taken from the account of Noah found in Genesis 6-9. Matt 24:37-39 foretells that the Second Coming will be like that during the days of Noah. The irony of this world is that with all of our advances in knowledge and science, our spiritual life is increasingly going backwards. We see this all around us in broken lives, increase in violence and discord, and wickedness. There is also, however, other symbolic significances to the rainbow, and specifically, two for Malaysia; firstly, as a symbol of hope and promise, and secondly, as a model to the world where diversity is celebrated in a way God meant it. Malaysia has the potential to be both a nation of hope and of harmony, if Christians learn to appropriate a culture of building altars to God as part of their daily living. Rev Henry is conducting a series of sermons about 14 different Biblical altars, outlining their identity and import, as well as what we can learn from them. In last Sunday’s sermon, he shared about 4 altars; the Altar Archetype and those of the fathers of our faith (Noah, Abraham, Isaac). Of the 14 altars he will be sharing about, the first 7 are foundational to our faith. Rev Pillai shared that we take on the character of who we worship, and the identity of God is far more precious than any jewels or riches. We need to set up altars and intercede for our families, community and nation. Our character must speak prophetically. 2 At once I was in the Spirit, and there before me was a throne in heaven with someone sitting on it. 3 And the one who sat there had the appearance of jasper and ruby. A rainbow that shone like an emerald encircled the throne. 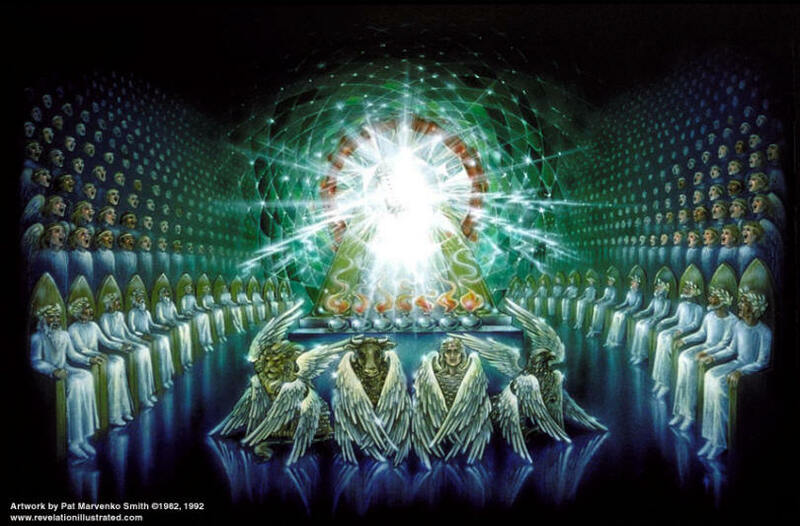 4 Surrounding the throne were twenty-four other thrones, and seated on them were twenty-four elders. They were dressed in white and had crowns of gold on their heads. 5 From the throne came flashes of lightning, rumblings and peals of thunder. In front of the throne, seven lamps were blazing. These are the [seven-fold Spirit] of God. The second altar builder Rev Pillai shared about was Noah. 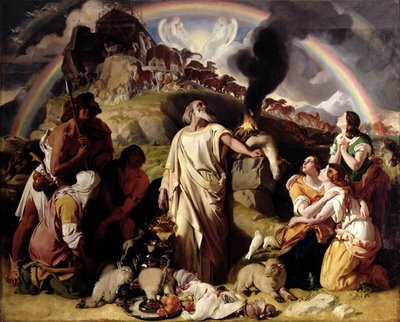 The symbol of identification for this altar was the Perfect Rainbow on Earth (Genesis 8:20-22). Altars require sacrifices (time, energy, finance, etc..) and death to our own selves and our own agenda. Just like Noah took the lead for his family, men must initiate altars amongst those they’re taking care of and protecting. Because of Noah’s example, God made a promise never to curse the ground any more for our sake (v 21). In our Christian living, these are 'never again' prayers we need to make. Never again will I turn back to my past addictions or sins, never again will my family struggle with need, never again will Malaysia go through emergencies like racial or religious riots. 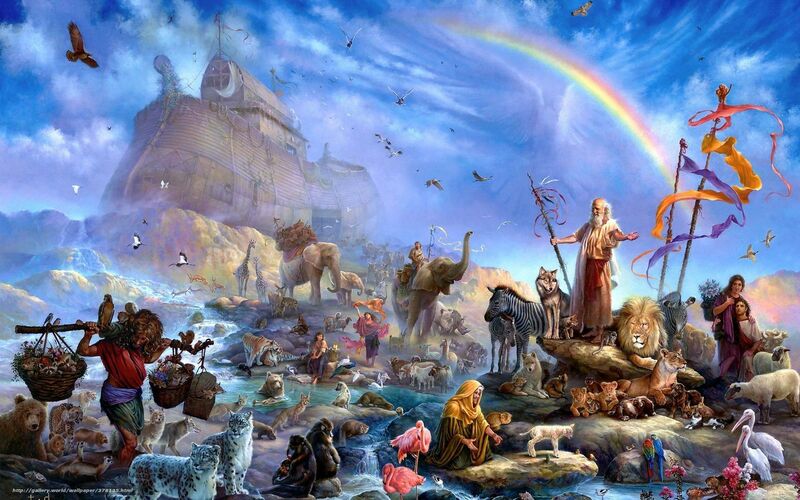 There is another significance to Noah’s altar, found in Genesis 9:14-17. God honours His promises and this extends to every living creature (v14-15). Like Noah who interceded for mankind, we must pray for our unsaved loved ones. God has the heart of a Father and He grieves when an unbeliever dies and is eternally separated from God. Through Jesus’ example, He has shown us that He is more concerned with the broken and unsaved rather than the self-righteous. This is the heart, spirit and focus that the Church should have. Not just to build ourselves up, but to build and transform the lives of others. Another altar builder Rev Pillai shared about was Abraham in Genesis 12:7-9. In the account, God divinely appears before Abraham and promises him that He will give the land to his offspring as the people of God. This is within a spiritual context and instead of a mere position of possession, it entails a position of responsibility. Christians all over the world do not have to start a quarrel or a war about it. There are no winners in a quarrel or war, and their effects never end. They destroy lives on a massive scale and often extend for many generations. Rather, the fight of a Christian is against our spiritual enemy, the devil. We need to ask strength from the Lord to respond to others with His grace, and God will bless the land unto many generations. Abraham’s son, Isaac, also built an altar unto God (Genesis 26:2-5). His example can be seen as an extension of that of Abraham. Primarily, the life of Isaac is about inheritance and prosperity. Prosperity comes in many forms, and if our earthly fathers know how to be concerned for us, and be wise to leave behind a inheritance so that we are taken care of, what more our Heavenly Father. Christians must take up their roles in response to this. We must pray for those around us, be involved in services like education and health, and bring strength to our nations. Though we may be small in numbers in many parts of the world, God has appointed us as the light to the nations (Isaiah 42:6). Isaac’s life also shows a pattern of how aggression develops and how to avoid it. In Genesis 26:12-13, Isaac had settled in Gerar and become a rich man, but this roused the envy of the Phillistines and they stopped up his well (Genesis 26:14-15). Isaac chose to move on rather than spur a fight, doing this many times and redigging many wells before finally settling in Beersheba (Genesis 26:23-25). He gave noteworthy names to three of the wells he redug: Esek (v20) meaning “strife”, Sitnah meaning “hatred” (v21), and Rehoboth meaning ”enlarged space” (v22). The final settling place where Isaac built his altar unto God, was named Beersheba or “Well of the Oath” to commemorate the fulfillment of God’s promise. Aggression often starts with envy which always leads to strife (Esek). Strife (Esek) develops to hatred (Sitnah) and violence. Isaac kept himself pure, and did not give in to the pressure of hatred, or listen to the words of his enemies and return fire with fire. He made room for them (Rehoboth) and God honoured him for it (Beersheba). As Christians, we are called to be bringers of Good News, not bad news. Rev Pillai shared that we should not have a part in habits like strife, slander, or gossip. God has a concern for everyone. Though our afflictions may be many, God is larger than all of them and He will deliver us. We’re encouraged to be bigger than anything our enemy may chose to throw at us. 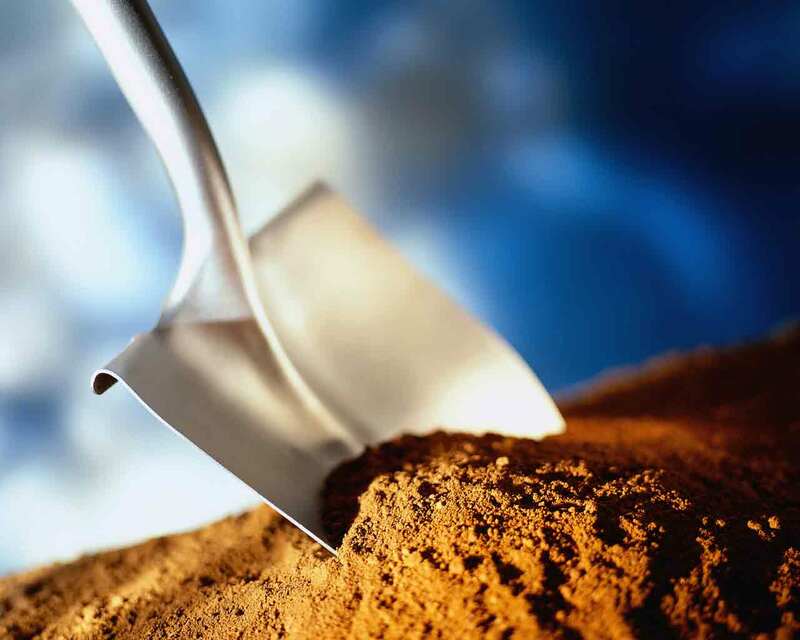 Throughout the Bible, there are many builders of altars unto God and each of them signified something. This is a picture of the privileged and powerful kind of relationship we have with God.